Best Honeymoon Destinations in India You Will Want to Visit Right Now! After an endless wedding planning that has been going on for over months and a year or more, with the knot being finally tied now, a bride and groom’s life at this point takes a whole new turn when it comes to love, romance and bliss. What better way to unwind after all the fun and fanfare you had at the wedding than whisk away to a pleasant honeymoon trip? The wedding planning process was not enough that now you’re stuck with the biggest of all honeymoon planning question – where to go? Fret not, we’ve got your back on this one. From majestic himalayas in the north to the lush green pastures of the South, honeymoon destinations in India are truly romantic. 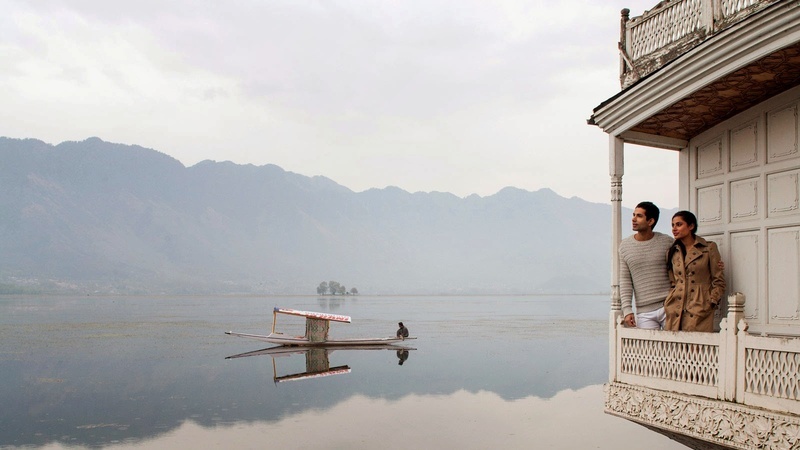 Here we have a collection of the best honeymoon destinations in India! Gorge on the beautiful photos and choose which you like the most. Dalhousie named after Lord Dalhousie, is an enchanting little town with a colonial atmosphere. Thick forests, wildlife, tranquil ambience and refreshing views of the mountain scenery make it a romantic honeymoon destination. - Air: The nearest airport is Gaggal near Dharamshala. - Rail: Take the Jhelum Express, Jammu-Delhi Express or Himachal Express to Pathankot. From here it’s a 2 hour uphill drive by taxi, bus or car. - Road: Himachal Pradesh Tourism Runs Deluxe tourist buses from Shimla and Dharamshala to Dalhousie. - Visit sights such as Panchpula, Subash Baoli, Bara Pathar, St. John's Church and Bakrota Hills. After an insightful sightseeing tour, enjoy a comfortable overnight stay at the hotel. - Visit Khajjiar, which is also known as mini Switzerland. Upon arrival in Khajjiar, enjoy an excursion and then, return to Dalhousie for a comfortable overnight stay. - Kalatop wildlife sanctuary is home to ‘ghoral’ and the Himalayan Black Bear. Gangtok is the capital of the northern Indian state of Sikkim. It is a Tibetan Buddhist center and a base for hikers organizing permits and transport for treks through Sikkim’s Himalayan mountain ranges. A great option for couples looking for an adventurous honeymoon destination in India. - Air: Airport nearest to Gangtok is about 124 kilometres away in Bagdogra, West Bengal. - Rail: The nearest railway station to Gangtok is about 148 kilometres away in New Jalpaiguri in Siliguri. - Road: Take a car, taxi or bus from New Jalpaiguri, West Bengal. Hampi is famous for the ruins of the Hindu Kingdom of Vijaynagar and has been declared a World heritage site. Spend a delightful honeymoon here with a rich cultural and historical heritage as the backdrop. Architectural glory and magnificent ruins offer you a surreal ambience steeped in tranquil mist. - Rail- Hampi does not have a railway station. The nearest Railhead is at Hospet 13 kilometers from the ruins. - Road: The main bus station is located in the Hampi Bazaar Area. Situated in the Indian state of Kerala, Kovalam is an internationally renowned beach destination with three spectacular crescent beaches. This tourist spot has emerged as one of the most magnificent honeymoon destinations in India. For couples who're bored of Goa and looking for a more relaxed and chilled beachlike atmosphere, here's your ideal match. - Rail: the Trivandrum Central railway station, located about 15 kilometres from Kovalam, is the nearest railway station to Kovalam. - Road: Kovalam is situated at a distance of around 718 km from Bangalore. The beach town is located close to Thiruvananthapuram city centre and is well-connected to Bangalore by roadways. Poovar is small but marvelous coastal island located in Trivandrum district. It is almost at the southern tip of Trivandrum. The estuary there is the one where the Lake, the River, the Sea and the Beach meet the land, a rare natural wonder in Kerala. This estuary connects with the sea during high tides. Ideal for nature lover couples, nothing beat Poovar as a honeymoon destination in India.